Includes ESD Simulators, Surge, Burst & EFT Test Systems, RF Immunity Test Systems, Automotive Test Systems, EMI Receivers, GTEM & TEM Cells, Teseq RF Power Amplifiers, Milmega Solid State Microwave Amplifiers, IFI Solid State Amplifiers, IFI TWT Amplifiers, CDN, EMC Antennas, LISN & ISN. LET US HELP YOU WITH YOUR TEST EQUIPMENT NEEDS. 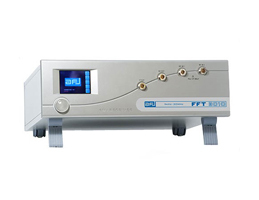 Gauss Instruments is developer and manufacturer of the TDEMI measurement system that uses the ultra-high analogue to digital converters and real time digital signal processing. This makes the EMC testing by 64,000 times faster than conventional EMI Receivers. TDEMI stands for a novel generation of EMI measurement systems which can provide real time analysis and enables the user to perform emission measurements in a fraction of time. The Gauss Instruments' EMI receivers can be used for conducted, power disturbance and radiated emission measurements. TDEMI 6G Gauss Instruments 9KHz - 6GHz High speed EMI Receivers, up to 4000 times faster, real time analysis bandwidth of 162.5 MHz vehicle electrical systems testing.